What happens when the mothers of (collectively) 17 children, 10 grandchildren, 2 husbands, and 40 years of homeschooling experience under their belts get together to chat? 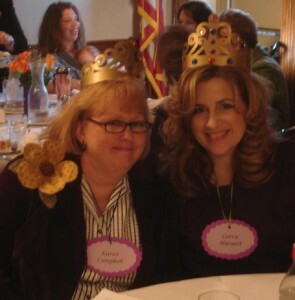 Find out as I welcome my special guest Corrie Marnett, to my podcast. 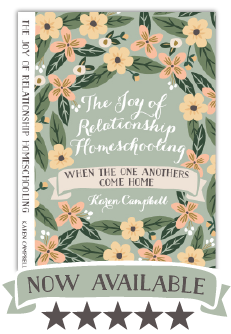 In this 4 part series, Corrie and I discuss the trials and blessings of homeschooling, the various struggles we have faced, and the goodness of God in preserving us and our children as we have traveled along this wonderful journey called homeschooling. We offer both encouragement and suggestions to weary homeschooling mothers and raise many of the questions often asked from “Should I feel guilty if I want some time alone?” to “How do you get all of that laundry done?” And central to this discussion is the priority of pursuing a personal relationship with Jesus Christ. First part of the conversation I shared with Corrie Marnett where we talk about the top ten things we wish someone would write in a book for homeschooling moms. Second part of the conversation I shared with Corrie Marnett where we talk about the top ten things we wish someone would write in a book for homeschooling moms. Third part of the conversation I shared with Corrie Marnett where we talk about the top ten things we wish someone would write in a book for homeschooling moms. Fourth part of the conversation I shared with Corrie Marnett where we talk about the top ten things we wish someone would write in a book for homeschooling moms.